For new employees commencing mid-year who do not provide their new employer with a P45, a P46 can be completed and submitted to ROS instead, to register the employee. 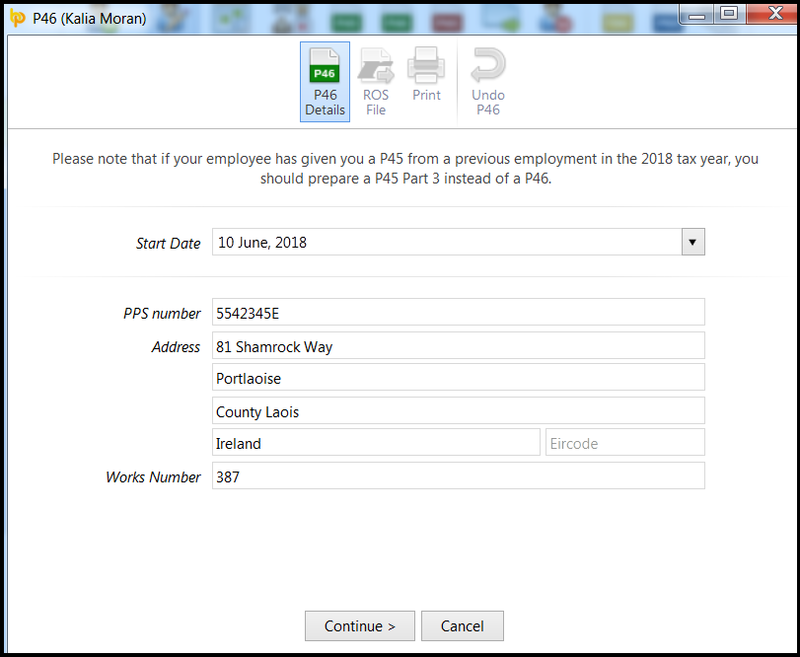 To do this, select the employee in question within Employees and click the P46 option on the menu toolbar. 1) On the P46 screen, ensure that the employee details already entered are correct and amend if necessary. 3) Should you need to undo the P46 at any stage to make amendments, simply click ‘Undo P46’ on the menu toolbar. 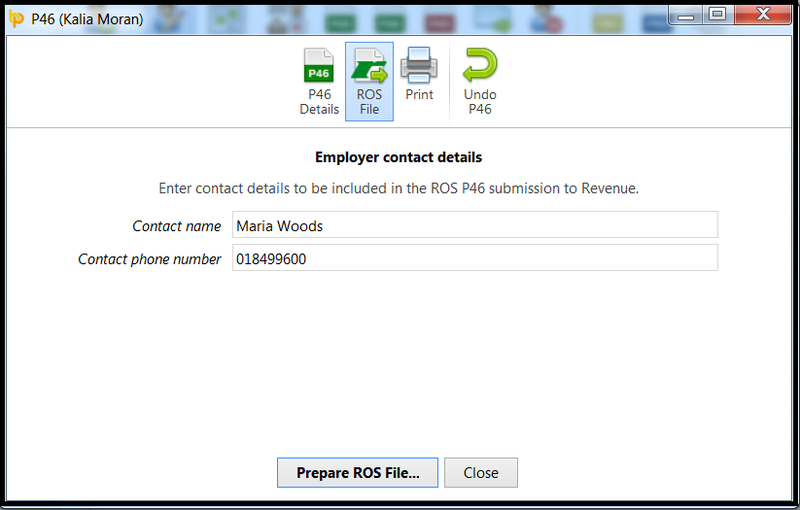 4) To prepare the ROS P46 file, select the ‘ROS File’ option on the menu toolbar. Enter a contact name and phone number, if desired. When ready, click Prepare ROS File and save to a location of your choice. The P46 file is now ready for upload through your ROS utility.